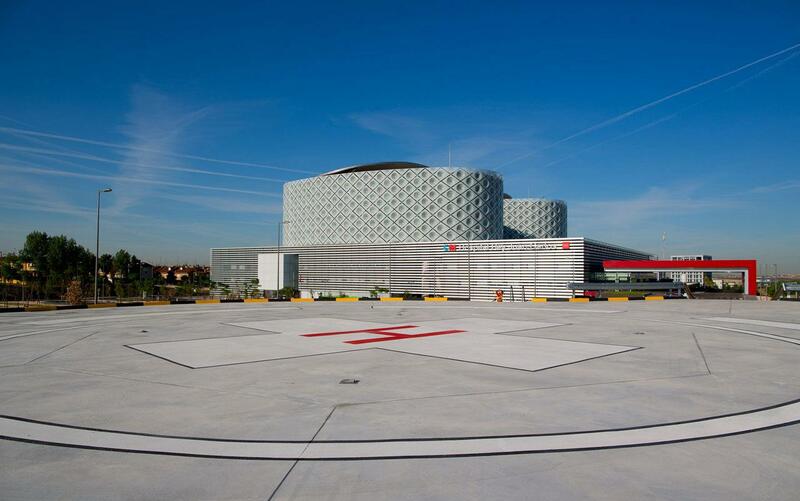 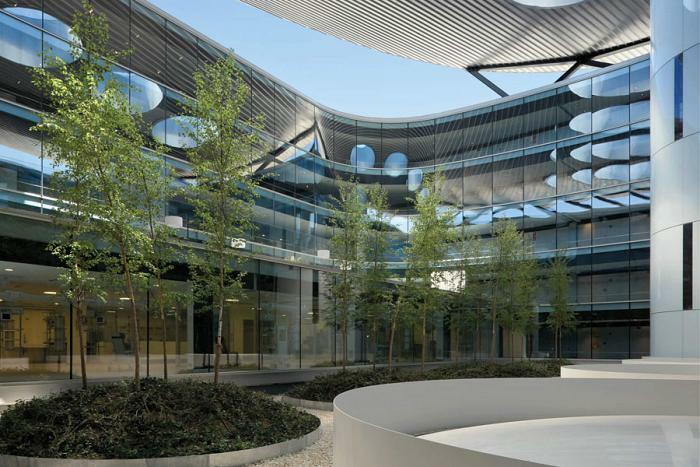 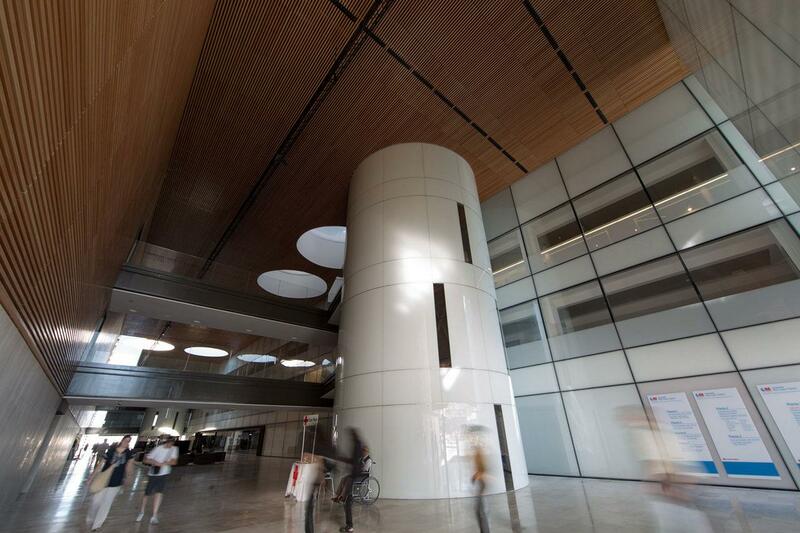 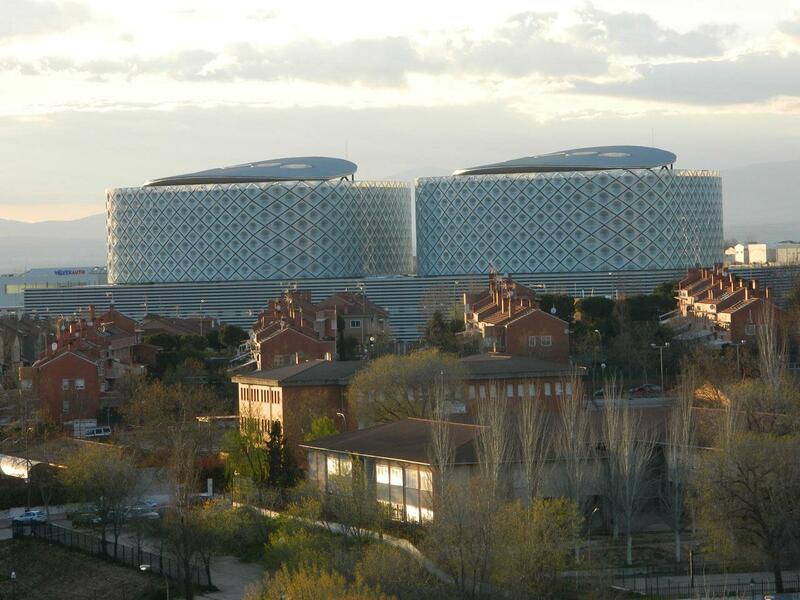 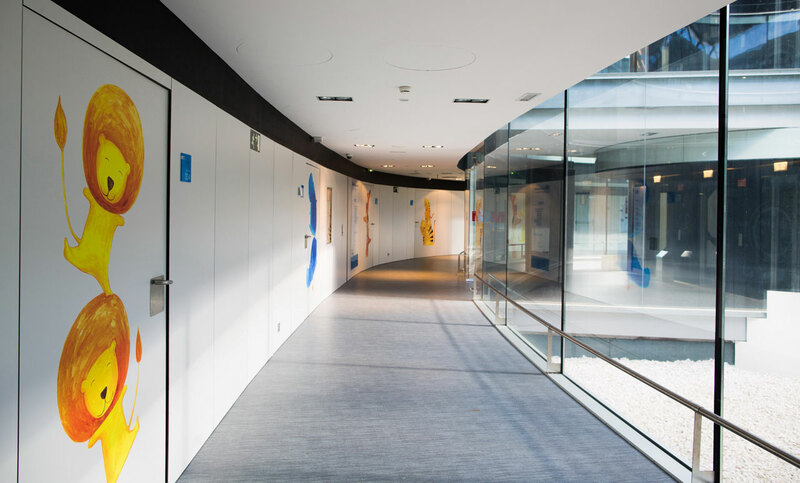 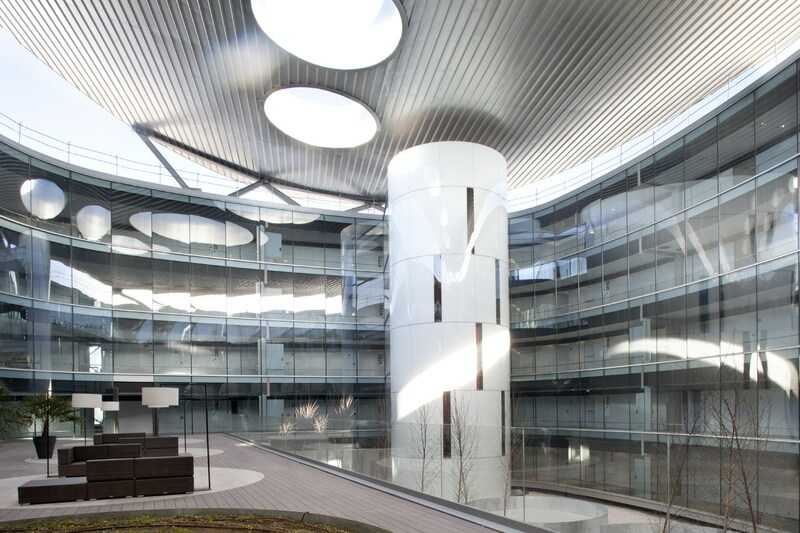 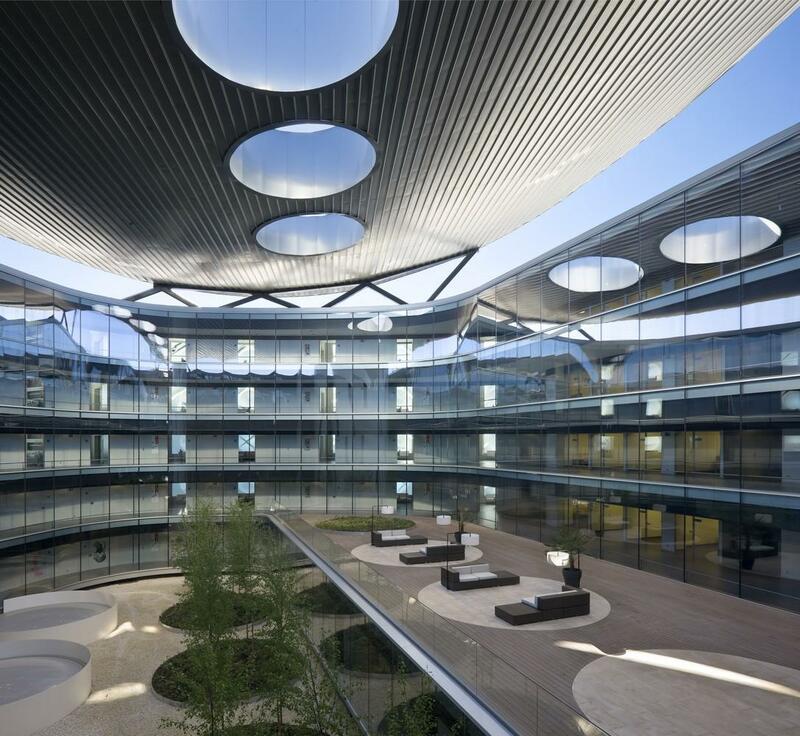 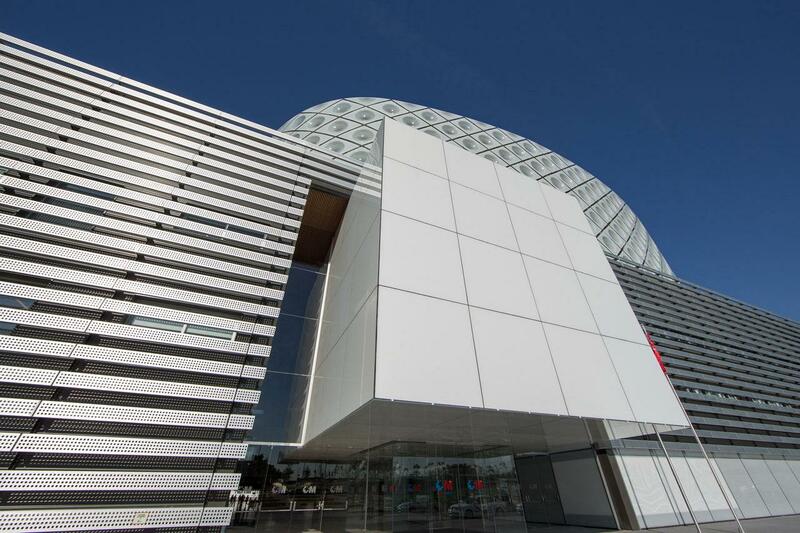 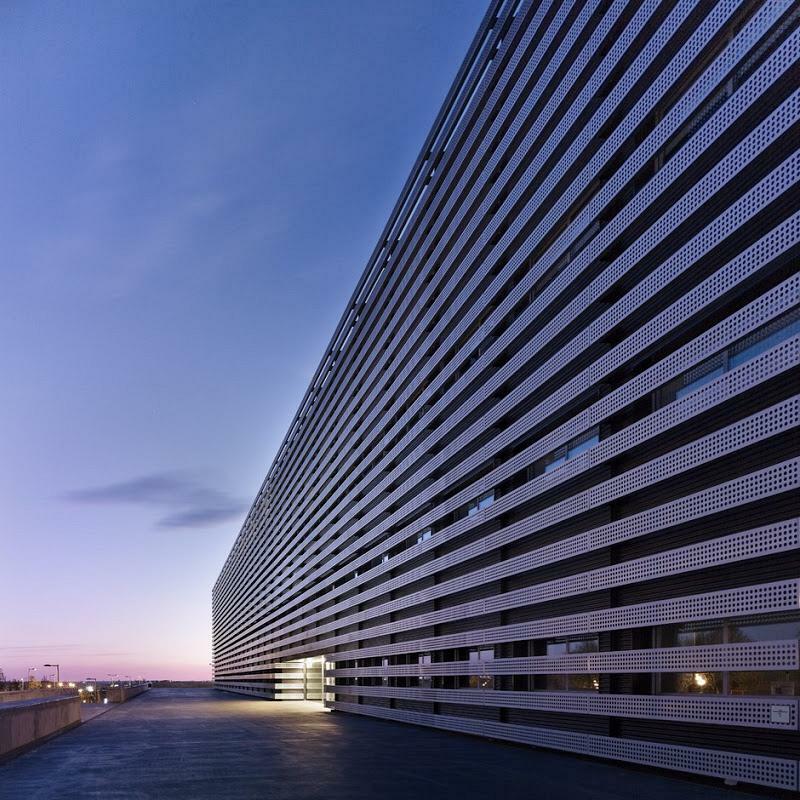 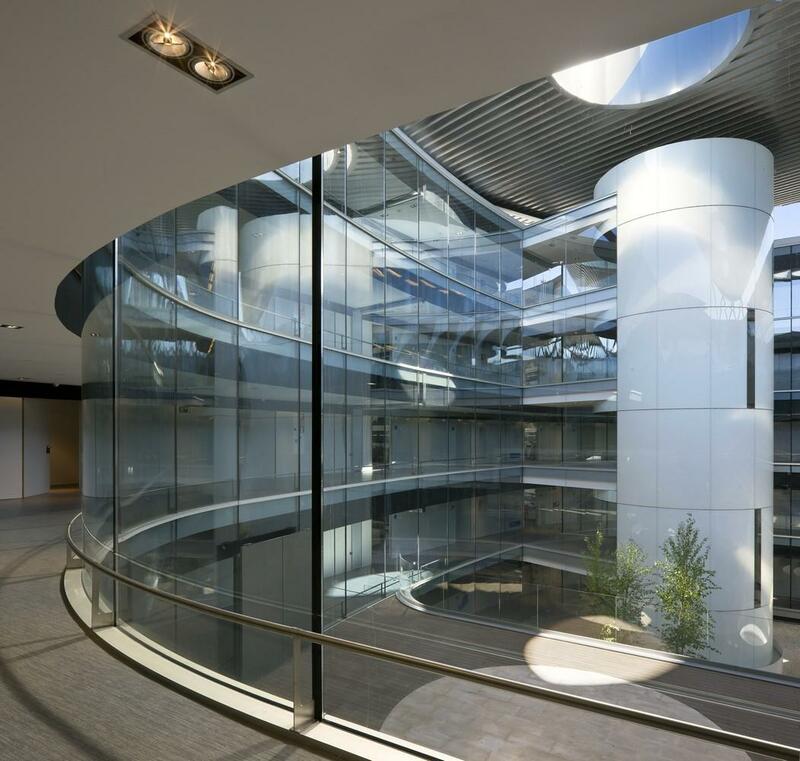 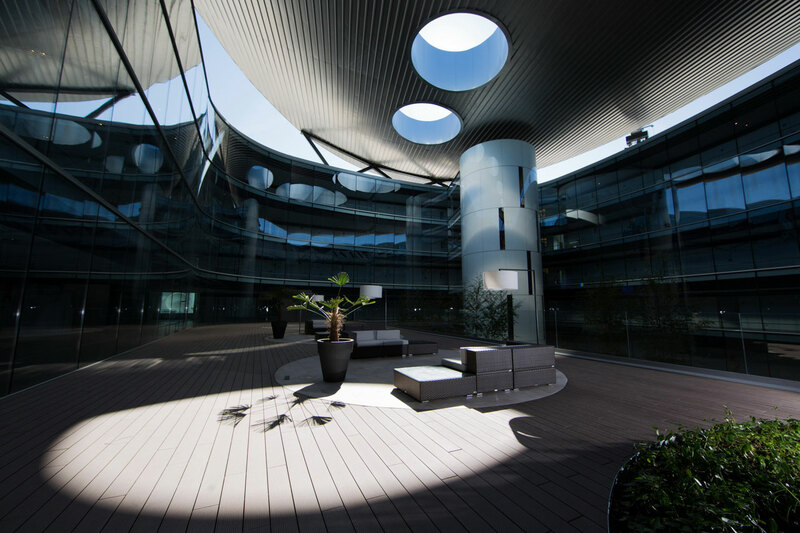 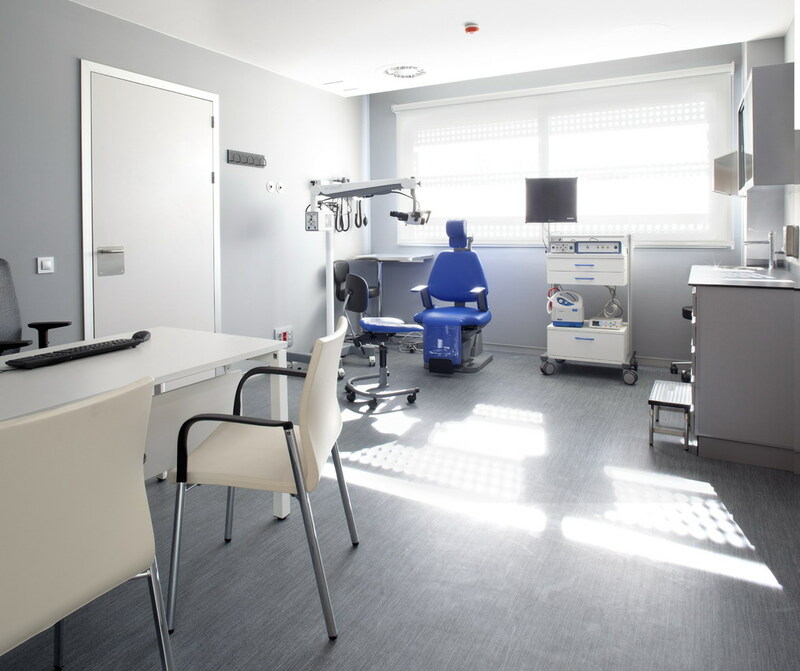 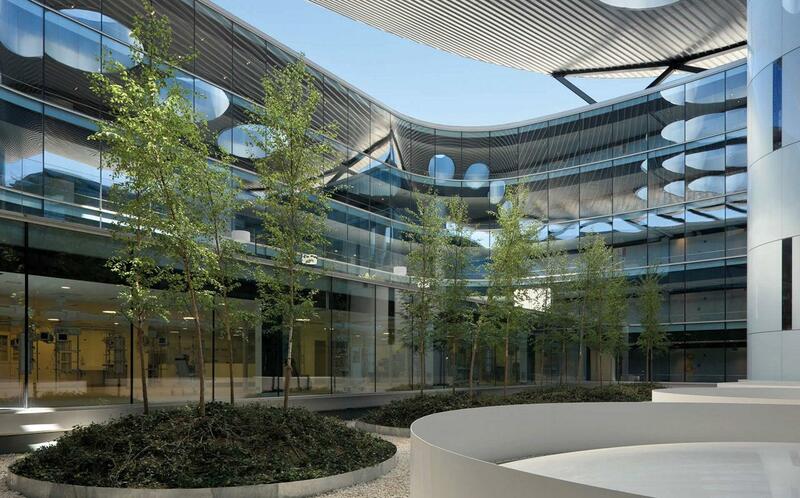 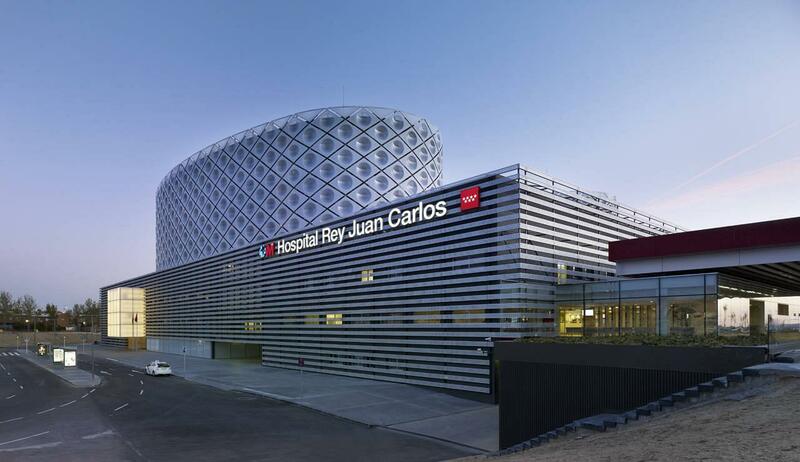 The new Rey Juan Carlos Móstoles Hospital, is an integrated centre in the public health network, designed to provide universal assistance, close and efficient to about 180.000 citizens. 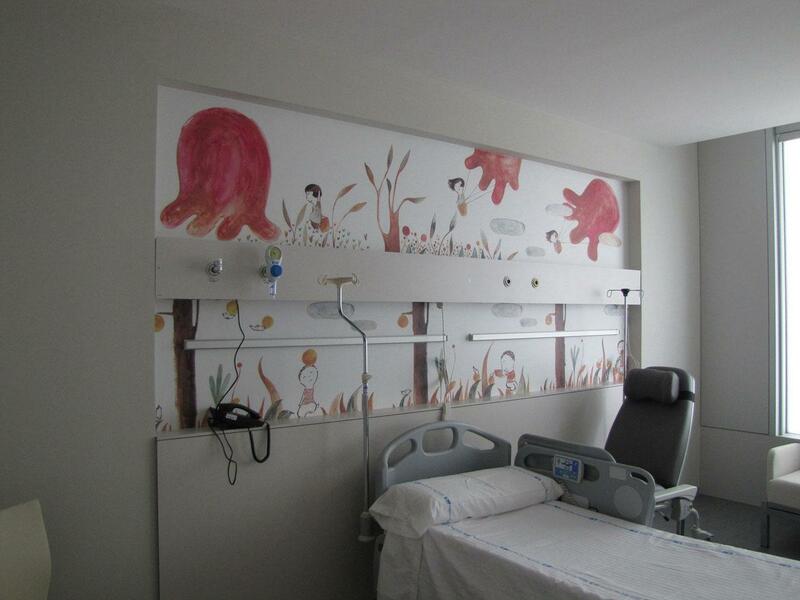 The health centre has 260 individual rooms, 47 consultation rooms, 10 stations for day care and 12 dialysis stations. It has 10 operating rooms, 32 examination rooms, 78 emergency positions, 21 radiology rooms, 10 neonatal positions and 18 ICU places. 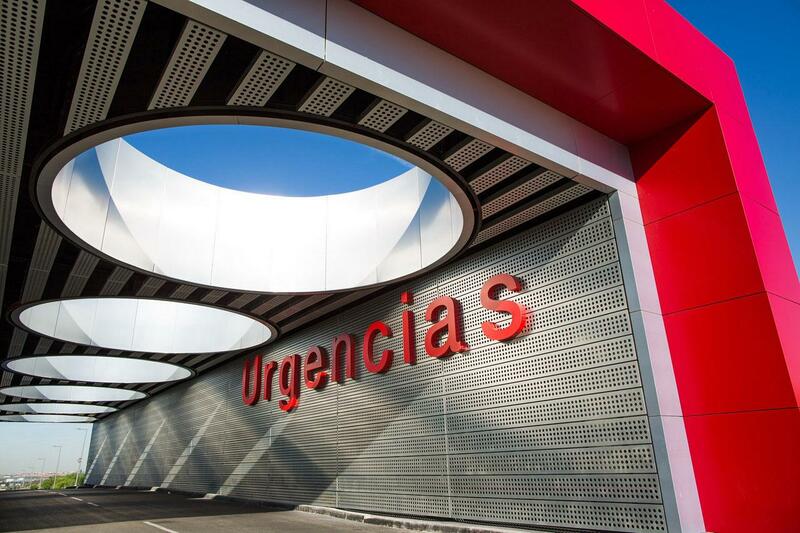 The hospital, whose project was carried out by Rafael de la Hoz, was designed with a structure focused on functionality and wellbeing of the health professionals. 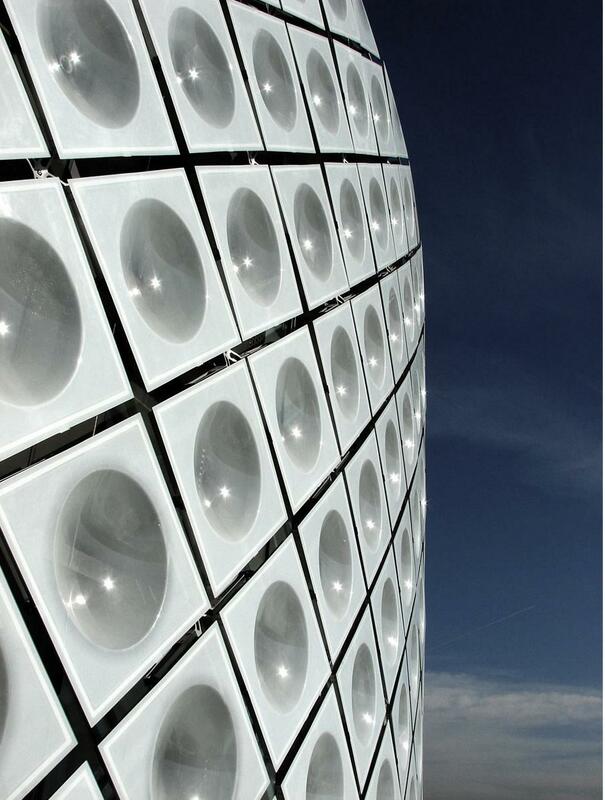 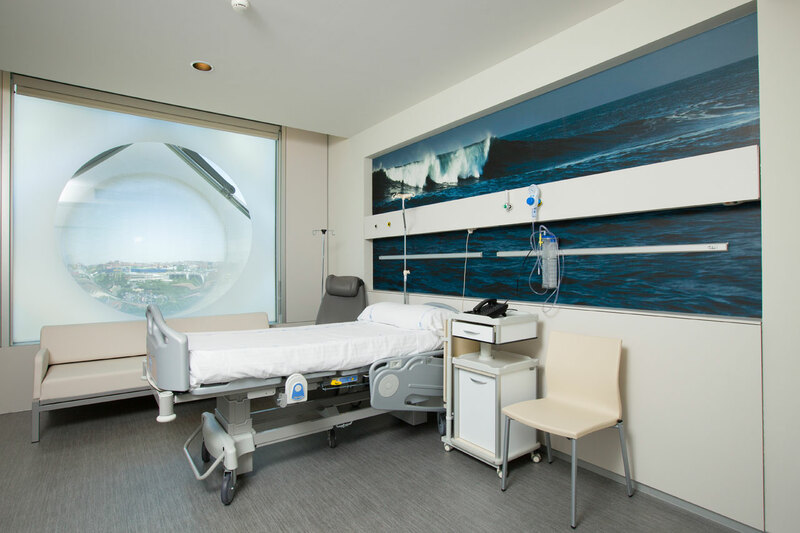 Furthermore, it was developed with a unique architectural design, which integrates light, silence and aesthetics, such as items for the patients' recovery. 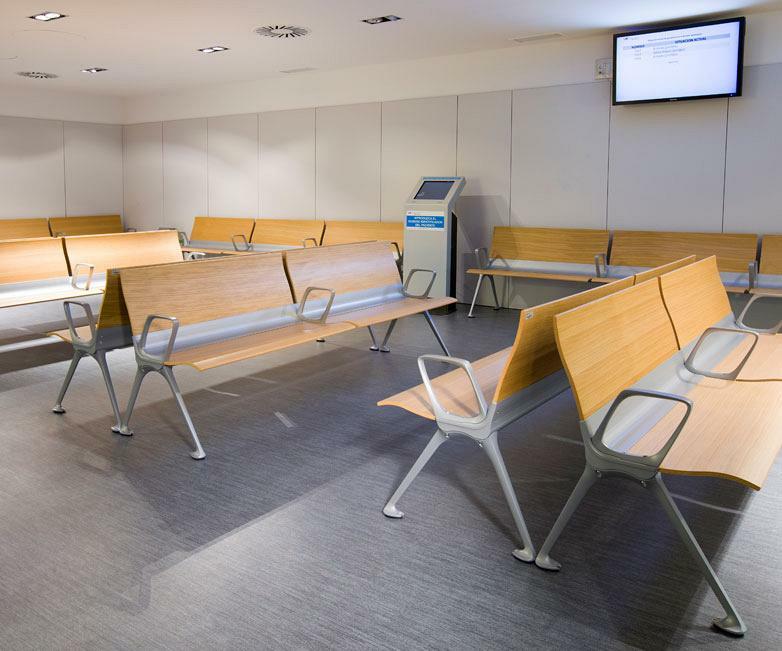 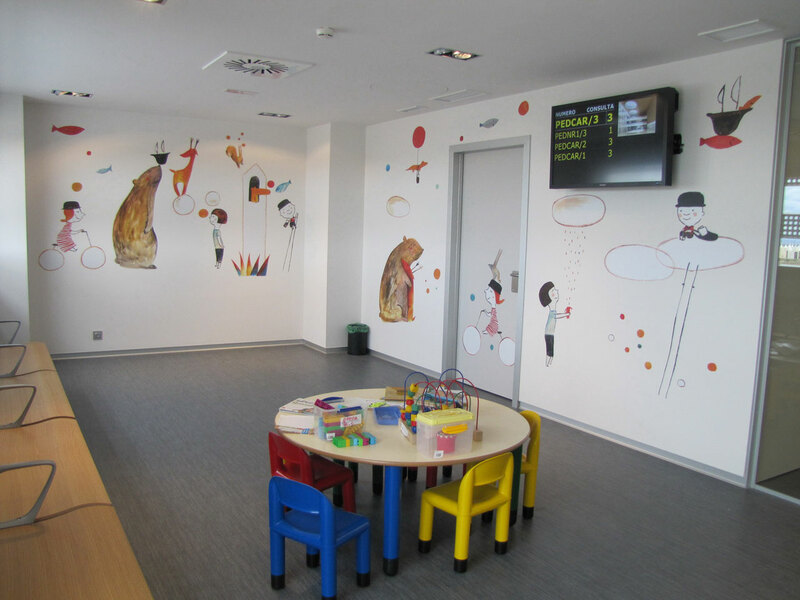 The Actiu Transit bench, offers rest in the waiting rooms along with an avant-garde image. There is a commitment towards communal office furniture which adds ergonomics, design and different finish options depending on the needs of space. 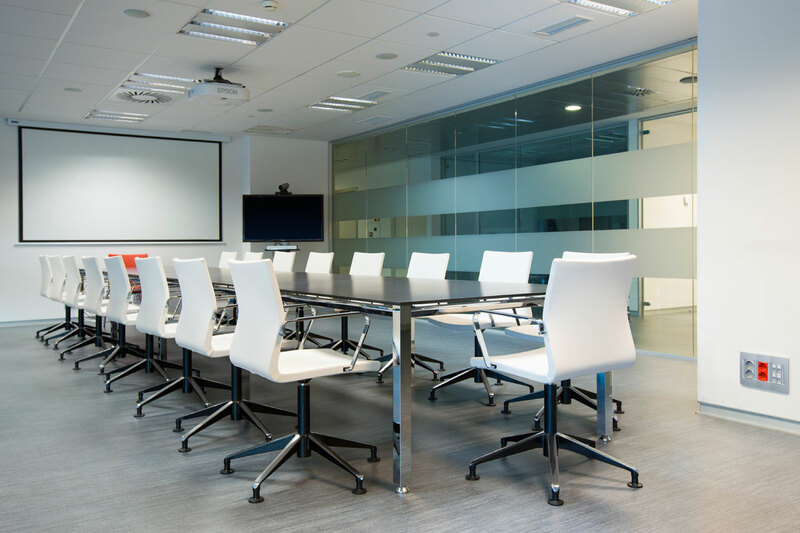 The meeting rooms have been furnished with the Vital program of desks, with chrome leg finishes and a melamine table top in wenge. 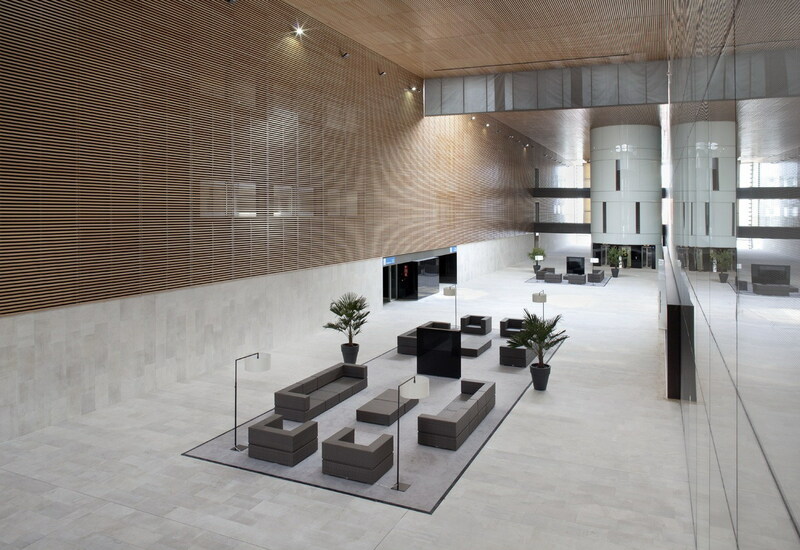 The UMA chair, upholstered in white, gives the room an elegance and sobriety according to the installation. 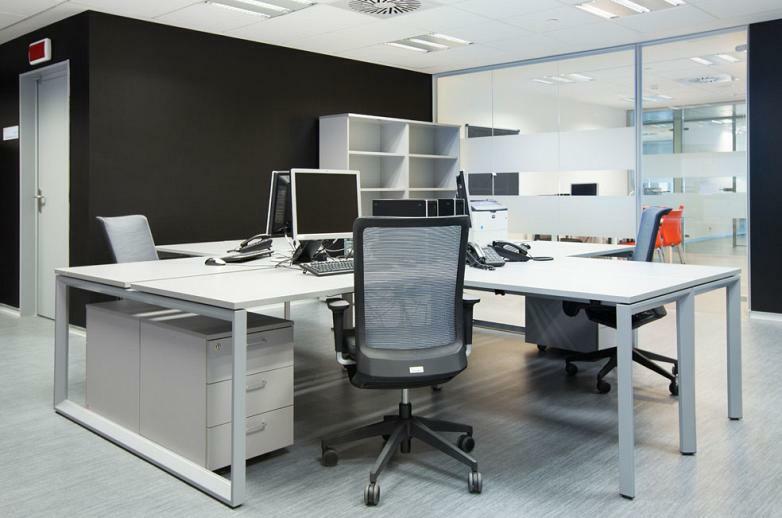 We have placed two office models, differentiating the type of activity to be developed in each one. 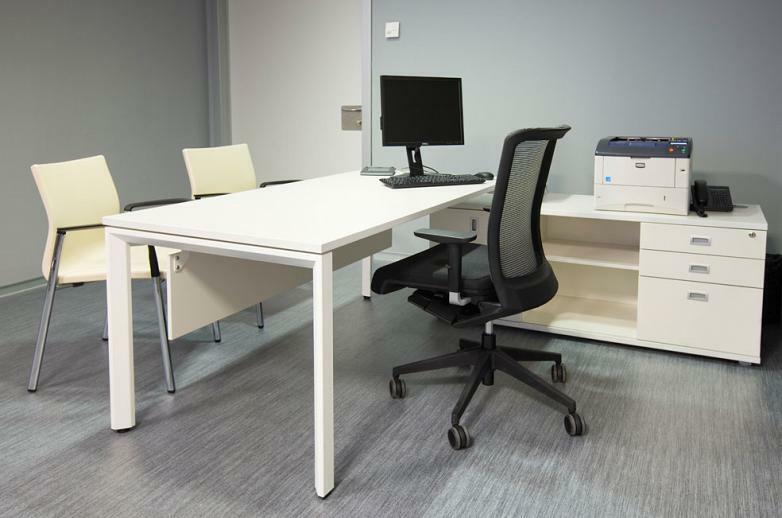 Thanks to the flexibility of the Vital Plus ST program, we find on one hand, a desk with a closed chrome structure and wenge table top, with a visitor chair and for small meetings the UMA in black and the executive Winner chair also upholstered in black. 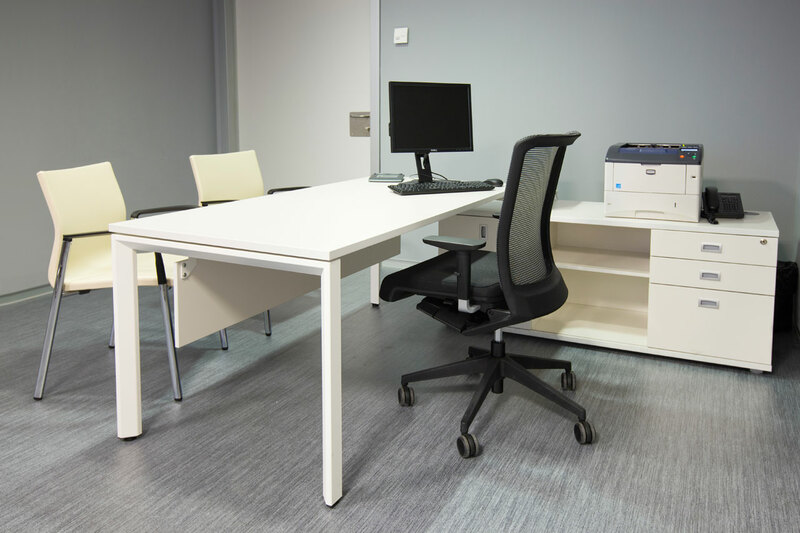 And secondly, a fresh and informal image which is achieved by incorporating white Vital Plus ST and Circular Base desks, as well as Modular Cabinets and Buck chest of drawers. 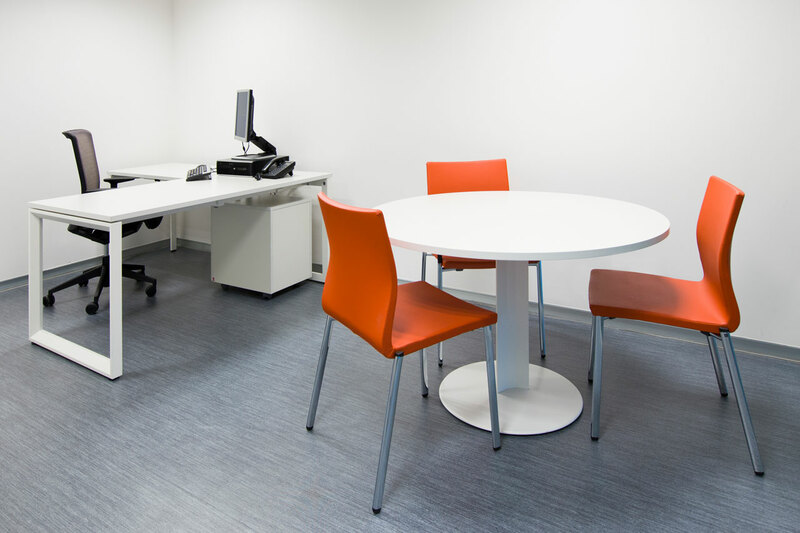 The UMA is fundamental to this combination in cheerful orange. We must mention the excellent choice of the Winner chair for operative positions. 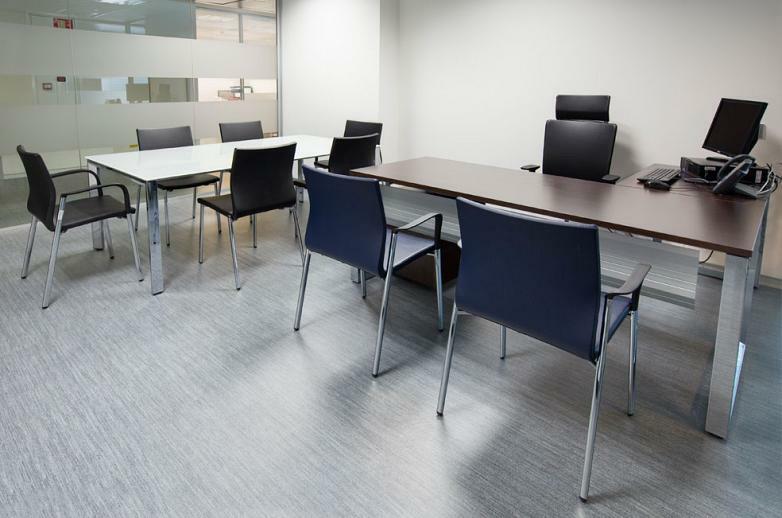 This office chair responds comfortably to the needs of movement, adapting itself smoothly to any position and minimizing effort to maintain and vary posture. 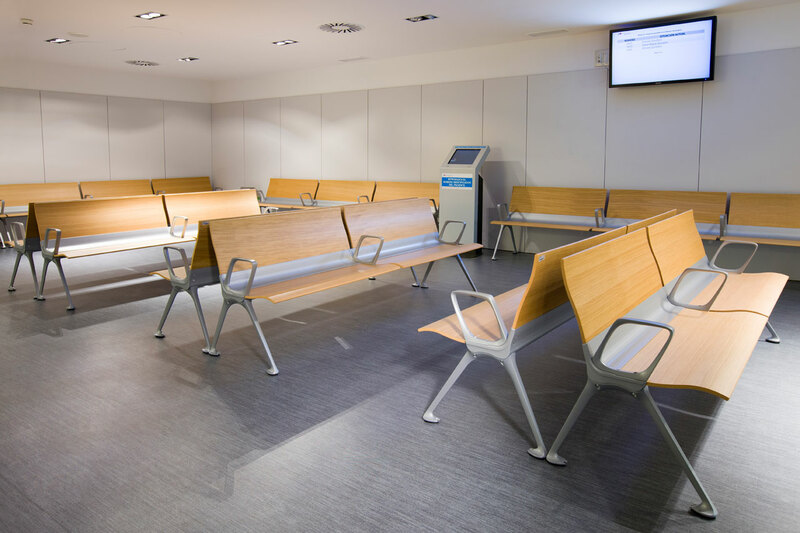 The shape of the seat, fabricated with injected foam and high recovery, favours an even weight distribution and avoids effort on the knees and pelvis. This is one of the projects, where versatility is evident by the UMA chair, where we find it, completely adapted, in the most diverse situations: consultations, offices, visitor and patient rooms and even in the elegant boardroom.